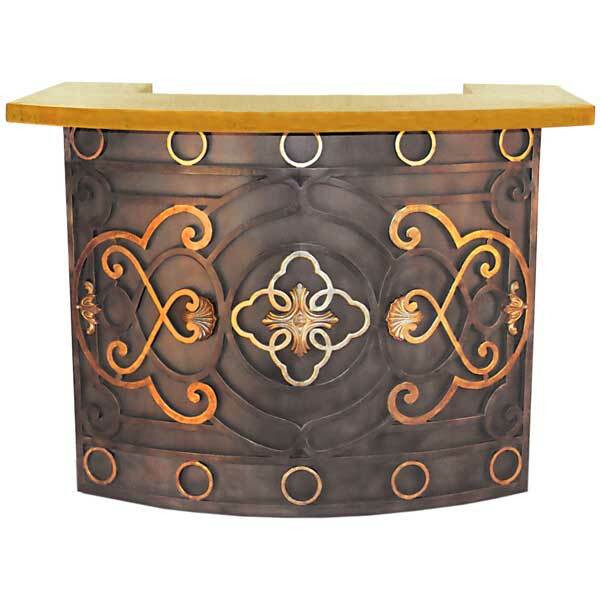 An antique balcony grille was the source of inspiration for the Balcony Bar. 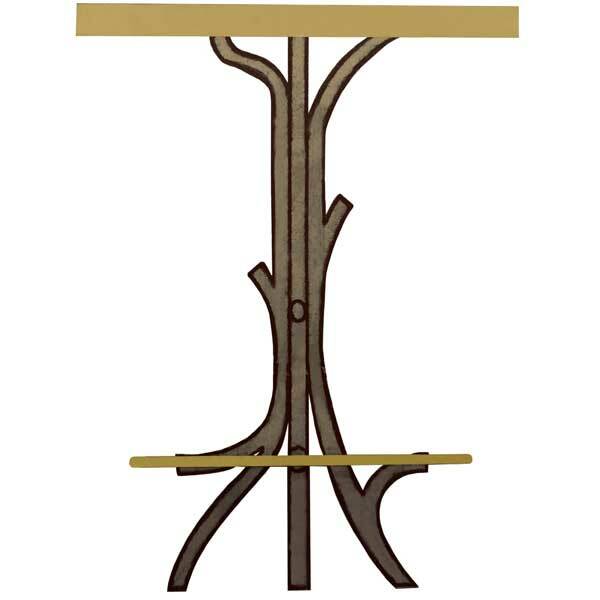 It is offered in various sizes and with a variety of finishes and accents. Top options include copper, brass, and granite. It also has a shelf which serves as a work surface. The grille front is made by a casting process. Molten metal is poured into a sand mold. The rough casting is then filed by hand until it is absolutely smooth. A final finish, which is specified by the client, is then applied by hand in multiple layers. 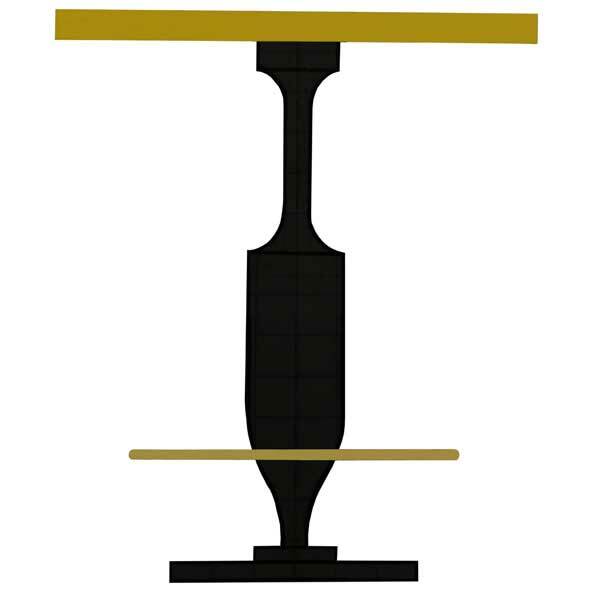 Five polished bronze glides are provided which also serve as levelers – a useful feature when the floor is uneven. 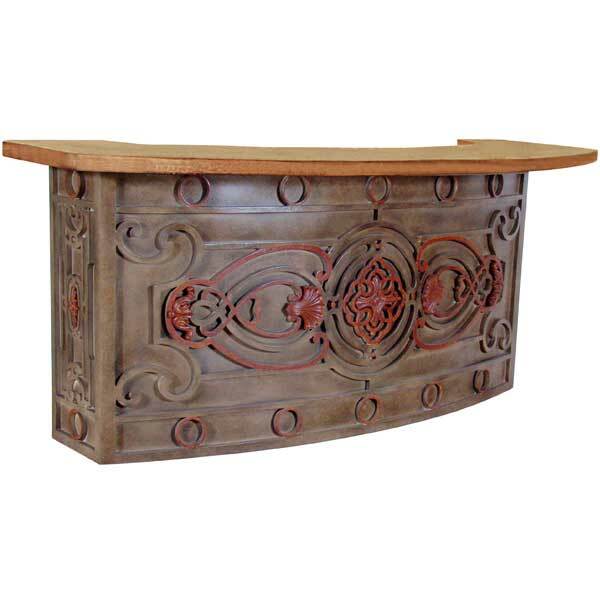 The Balcony Bar would be ideal for a man cave or a game room in an upscale eclectic home. Robust metal construction makes it perfect for restaurant use. Custom sizing is available. Designed by Shah Gilani, ISFD.